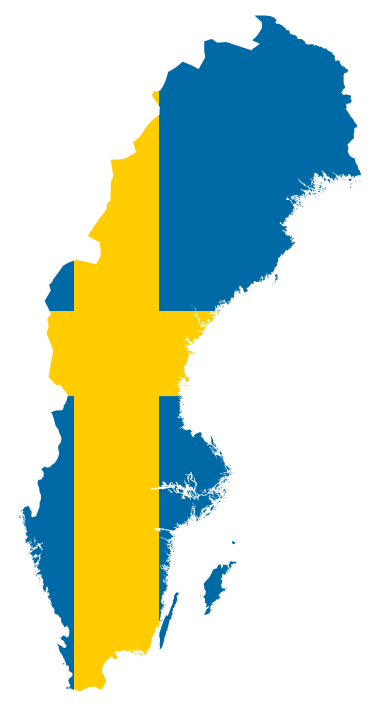 Sweden has always found themselves in a highly unsecure cyber threat landscape, to a point that the Prime Minister Stefan Löfven has listed cyberattacks among ‘eight main threats’ to the country. When looking at the statistics of cyber crime in Sweden which is the third largest country in Europe with the eighth highest per capita income in the world and a GDP of $457 billion, it has fluctuated between 11000 – 15000 crimes per 100000 of population for past 2 decades. What’s interesting though is the increase in the proportion of cyber crimes. And as it is with the case of any crime statistic, there are many more unreported cases. More so in this case, since companies and individuals don’t discover it until after they have compromised. To have a strong, effective and vulnerability free security system, cyber professionals need to not only maintain regular intrusion and vulnerability assessments but make sure the application and system is constantly improved from the time it was being built. EC-Council, being the world’s largest certification body for information security skills, understand that not every information security team is skilled and equipped with the required knowledge and hence has created hands on, intensive, skills based cyber security certifications Sweden like online ethical hacking certification to eliminate the dearth of information security professionals. EC-Council is the creator of the most sought after Information security and cyber security certifications in the world. The Certified Ethical Hacker or CEH online training Sweden is one such course which educates an individual on various skills that include pen testing, vulnerability assessment, attack vectors, foot printing, sniffing, cloud computing, firewalls and honeypots, botnets, DDoS attack tools, and DoS/DDoS countermeasures, cryptography ciphers, Public Key Infrastructure (PKI), cryptography attacks, and cryptanalysis toolsetc. In short, through the Ethical Hacking Certification Sweden and the Ethical Hacking Course Sweden a candidate studies and practices in detail how to maintain and uphold the network, system and application security of any organization. Even though an organization has a team of highly qualified experts, it needs to have a cyber safety risk awareness that they might be compromised at any point. A major factor in determining the agility of a cyber-threat environment of an organization is determined by how fast, effectively and elegantly the organization responds to the cyber-crime to mitigate the threat. Hence, the Certified Ethical Hacking Sweden training and CEH certification along with other courses of EC-Council caters to assist organization prepare their cyber security posture. The online CEH training is one of the most globally recognized cyber security essentials course that will help any security professional excel in their role as part of an information security team. Professional CEH training are imparted through various modes of study that includes both online and classroom teaching.